In today’s marketplace, finding a good job is becoming increasingly difficult. Employers’ expectations for job applicants are higher than they have been in the past. Not to mention, there are more and more people looking for quality jobs. With so many applicants to filter through, many companies rely on recruiters to match them up with the kind of employees they are looking for. For this reason, getting noticed by recruiters can be extremely helpful for your career. In this review, we will discuss five qualifications recruiting companies like to see in applicants. First impressions are largely based on personal appearance. The same is true when you are looking for a job. It is important to present yourself professionally by dressing and speaking appropriately. Even if the encounter is not face-to-face, professionalism is still a must. For example, you should not post things on Facebook or Instagram that might cause a recruiter to doubt whether you can be professional. The second qualification recruiters like to see in job applicants is a good track record. What we mean by that is they like to see that you have not moved around from employer to employer frequently in the past. If you have, they may assume that you are not a loyal employee or that you tend to have a hard time following through on a commitment. They like to see applicants who have worked at previous employers for significant amounts of time. For this reason, try not to switch from job to job, but try to sink your roots down deep where you find yourself. Recruiting companies like to see that kind of track record. Third, recruiting companies prefer candidates who are self-assured. They want to see that you have a good sense of self-worth and that you are a strong person. If you are constantly cutting yourself down or acting timid, they may doubt whether you have what it takes to be a confident employee. Although self-assurance is a good quality, you want avoid coming across as conceited. Recruiting companies want to see more of a quiet confidence than an air of superiority. Anytime you interview for a job, strive to come across as both confident and humble at the same time. One of the most important qualifications recruiting firms look for in applicants is previous experience. A candidate with past experience is obviously more ideal than a candidate without previous experience. Certain employers view previous work experience as more valuable than a degree. Even though experience if preferred, if you don’t have any, work hard to develop your skills and knowledge in the meantime. When it comes to searching for quality candidates, recruiters rely heavily on credible recommendations from the candidates’ colleagues, current employers, and previous employers. For this reason, it is important to work hard for every employer you have. Additionally, if you have to stop working somewhere, be sure to try your best to leave in such a way that maintains a good relationship with the employer. This will help set you up for success when applying for jobs in the future. Keep these tips in mind if you are looking for a new job. The Lawler Group has helped growth-oriented businesses around the nation find and hire the best and brightest job candidates for over 40 years. 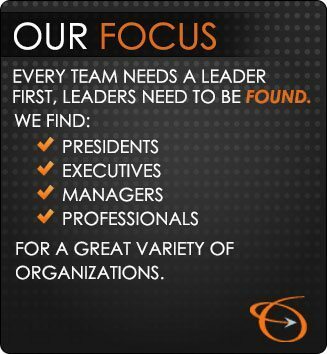 We recruit nationally for executive, management, and professional positions. We also help individuals who are looking for jobs get connected with quality businesses.